Preparing the foundation for your new concrete project is the most important step for a beautiful finish. Everything that follows is dependent on the perfect base. In order to ensure that concrete slabs will not crack, and have the correct drainage so pooling water won’t erode the surface you need to have a solid, level base. In some cases contractors cheat and ignore the foundation. Instead of making sure the dirt beneath the pad is properly graded they throw gravel and baserock into the base. Not only does that add to the expense it still does not provide the stable base that a well graded and compacted soil does. That is why it is important to select the very best in concrete creation. Van Middle and Son concrete are experts at creating concrete slabs for your home improvement projects that are durable, cost effective, and beautiful. When they begin your project the ground is carefully excavated. All tree roots, rocks and debris are removed and the ground is leveled and compacted until it is firm and hard to make a solid base for your concrete pad without any additional materials. When the ground surface is properly prepared it not only allows the concrete to set properly and makes a solid base for it. A well prepared surface allows for drainage that is perfect so that the bottom of your pad remains in good condition for years to come and keeps your concrete from crumbling. A solid base also keeps concrete from buckling and cracking due to changes in weather or moisture. 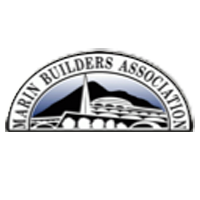 Van Middle and Son can complete any project in the areas they serve from San Francisco to Marin and Sonoma Counties. Their professional services include compacting and grading all the way through pouring and finishing your concrete pad for the perfect solution to all of your concrete needs. And concrete excavation is just as tough and dangerous as demolition. But at Van Midde and Son Concrete, we use Bobcat Tractors in order to make short work of large jobs, so you’re not left waiting around for weeks or even months for completion of your site. And we do it all with a smile. Furthermore, the experts at Van Midde and Son Concrete even take that additional step as we make note of any existing structures or piping that isn’t being demolished so you’ll be certain that everything you want to keep stays intact, while everything you don’t want gets removed. If you’re looking for professional, reliable, and perhaps most important of all, affordable concrete demolition or excavation look no further than Van Midde and Son Concrete you won’t be disappointed. We offer demolition services for all of our concrete customers. For more information on this service please contact us here. Located in San Rafael, Van Midde and Son Concrete does Grading and Excavation in Marin County, Sonoma County and throughout the San Francisco Bay Area.